Choosing the right binding can be tricky. Two years ago we published our Alpine Touring Binding Shoot-Out where we mounted five of the leading tech bindings (the Marker Kingpin 13, Dynafit Radical 2.0, Fritschi Vipec 12, G3 ION 12, and Dynafit Beast 14), to the same ski (the LINE Sick Day Tourist 102), then skied them back-to-back-to-back and evaluated their uphill and downhill performance, ease of use, safety, and durability. We’ll be posting an update to that shootout soon to include a few of the new AT bindings released in the past two years, but today we’re talking about the bindings we use in the resort, rather than the backcountry. While “alpine” bindings (ski bindings that don’t have an uphill / touring component) are simpler than “AT” bindings since there is no need to combine uphill efficiency with downhill reliability and safety, there are a dizzying number of alpine bindings on the market, and little information about why one particular alpine binding might be a better choice for you, which bindings are — and aren’t — compatible with the new boots you just bought, etc. Furthermore, there are many myths, bits of misinformation, passionate defenders, and very vocal detractors of certain bindings, which makes it even harder to get clear on what the actual characteristics are of these bindings, and how they really differ. For more on elasticity, travel, DIN, etc. 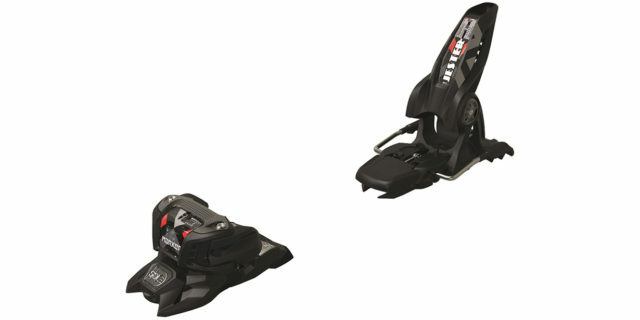 and how they affect on-snow performance, check out our Ski Bindings 201 article on how bindings work. We’ve also included some of our reviewers’ personal experiences with some of these bindings, and we’ll continue to update this piece as more bindings hit the market, and as we are able to get more time testing some of these bindings. So to be clear, this will be an evolving document, and what we have here is just a start. But we hope that it will help to clear up some confusion and allow all of us to make more informed decisions. These are reviewer Paul Forward’s go-to bindings for work as a heli-ski guide in Alaska, since they are the easiest binding he’s used to click into in deep snow (something that he has to do multiple times a day). Part of what makes the STH2 so easy to step into is how easy it is to clear snow around the center post of the toe piece, and the relatively easy heel spring activation (especially compared to the Marker Jester). This all also holds true for the older, non-WTR version of the STH binding, except for the lack of WTR-boot compatibility. In addition, the WTR-version of the STH2 works the best of anything we’ve used with rubber-soled alpine and WTR boots. The only issue we’ve had with two particular pairs of STH bindings (of the 6 or so pairs we’ve used frequently over the years) is that some of them have developed an issue with the toe height adjustment that results in not being able to lower the toe enough for standard alpine sole blocks. These are very similar to the STH2 16, and like the 16-DIN version, they’re much easier to click into in deep snow than any of the Marker bindings we’ve used. We have, however, had a few pre-release issues with STH 13’s when set at the higher end of their DIN range, so if you are running your DIN at 11, 12, or 13, you might consider bumping up to the STH2 16. The skiing experience of the Warden is generally similar to that of the STH2 16. The Warden’s toe piece doesn’t clear snow as well as the STH2, but the Warden still seems easier to step into in deep snow than the Jester. We haven’t noticed any issues with the lighter springs used in the heel piece of the Warden 13 compared to the STH2 16. However, Paul Forward has had some pre-releases on the STH 13, which has a very similar heel to the Warden, so psychologically, he personally doesn’t feel quite as comfortable skiing the 13 heels when running a higher DIN setting (11, 12, or 13). The biggest reason to choose the Warden over the STH2 is if you intend to routinely use AT boots with 9523 boot soles (i.e., not WTR, Grip Walk, or standard alpine soles) because these types of boots require an MNC (multi-norm compatible) binding like the Warden. The Look Pivot 18 is the preferred binding of a lot of hard-charging skiers, and you’ll often hear such folks say that they wouldn’t dream of skiing on anything else. Why? Typically, the mention the Pivot 18’s metal toes and heels, the range of elasticity / travel of the toes and the heels, and the consistency of the Pivot 18’s release — they release when they should, and not when they shouldn’t. While the Pivot 18 has long been revered as one of the “safest” options available, it’s worth noting that the consistency of your release is impacted much more by how properly your binding is adjusted to your boot than by what model of binding you happen to be using. Over the years at Blister, reviewer Joe Augusten would swear by the Pivot 18, primarily for its metal toe; Joe doesn’t trust plastic. Mike Masiowski and I still very happily ski the Pivot 18, and don’t mind or notice the additional weight of the Pivot 18 when skiing. But I also feel fine moving down to the Pivot 14 (while running a DIN of 10 or 11) and dropping a bit of weight, and have switched back and forth between Pivot 18s and Pivot 14s for years. Paul Forward still has a few pairs mounted up but they have largely fallen out of daily use for a few reasons. First, the rotating heel piece of the Pivot bindings can be a bit of a nuisance in deep snow. Overall, he still finds them to be easier to step into than the Marker Jester, but not as quick as the Salomon STH2 because sometimes the heel piece needs to be re-aligned. Second, the Pivot 18, 14, and 12 are also much harder to adjust to different boot sole lengths (and Pivots have a shorter range of adjustment) than the other bindings listed here, which makes swapping between boots more difficult and time-consuming. And relatedly, it is more complicated to adjust the forward pressure on Pivot bindings than the other bindings here. But once you learn how to do it (or if you aren’t frequently swapping boots or adjusting your DIN settings) then this is a minor factor or a non-factor. The old (non-WTR or Grip Walk) Look Pivot 14 was a favorite of many Blister reviewers, thanks to its elasticity and consistent release. The downside is that they are a little bit finicky to work with, but many of us like the performance and feel of the bindings enough that this is what we continue to ski. However, it’s worth noting that replacing the brakes on the Pivot family of bindings is a much more involved process than on any of the other models listed. Last year’s Pivot Dual 14 was compatible with WTR soles, but Look made some minor updates to the AFD so that the new Pivot 14 AW is compatible with both Alpine and Grip Walk soles, but not WTR. While the turntable design of the heel stayed the same with the last three iterations of the Pivot, the changes to the AFD for the “Dual” WTR version and then the current “AW” Grip Walk version required a substantial increase in the amount of plastic at the toe. The new Grip-Walk-compatible Pivot 14 AW has a nearly identical toe as last year’s Dual version, just with an updated AFD that works with Grip Walk soles. While some people aren’t a fan of the decrease in metal vs. the old Pivot 14, we’ve actually found that the new toe seems to be more robust. So while some skiers (including reviewer Alex Mueller) used to carry an extra AFD with them since the old Pivot 14’s AFD could be prone to failure, we haven’t experienced the same issue with the new version. The mechanism is solid, and does not result in a difference in toe height (boot angle). Look added the sliding AFD in order to help with the presence of rubber soles on Grip Walk boots. We suspect that this will also make the release on alpine boots even more reliable. The Pivot 12 AW is very similar to the new 14 AW, but is a bit lighter and has a lower maximum release value. 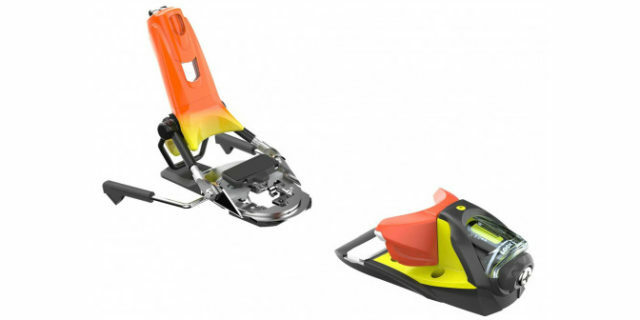 While we haven’t skied the new Pivot 12, we’d recommend this to lighter skiers looking for the toe elasticity and on-snow feel of Pivot bindings. We’ve found the whole Tyrolia Attack series to be very easy to step into — the heel has a much more positive engagement than the Marker Royal Family. But the Tyrolia toe doesn’t clear snow as easily as the Salomon STH2. For skiers looking for a high-DIN binding that works with Grip Walk soles, the Attack 18 X GW is a great option. 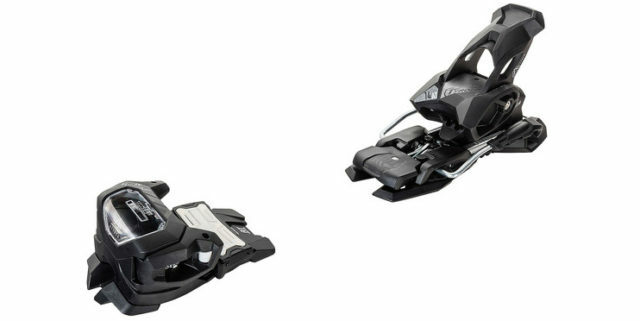 Tyrolia updated the entire Attack series for 17/18 with a new adjustable toe mechanism that works with Grip Walk boots, and the bindings came back unchanged for 18/19. We haven’t spent time in the 16-DIN version of Tyrolia’s Attack2 series, but the only difference between it and the 13-DIN version is the Attack2 16’s higher DIN range and slightly heavier weight. So apart from that, everything we say about the Attack2 13 should hold true for the Attack2 16. 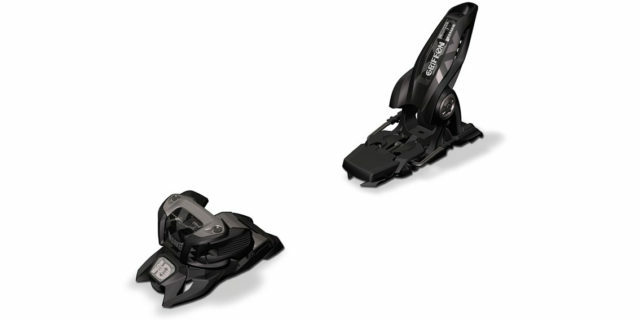 This is a good binding for skiers who like the feel of the Attack series but need more boot compatibility options as it works with Alpine, Grip Walk, WTR, and ISO Alpine Touring 9523 soles. 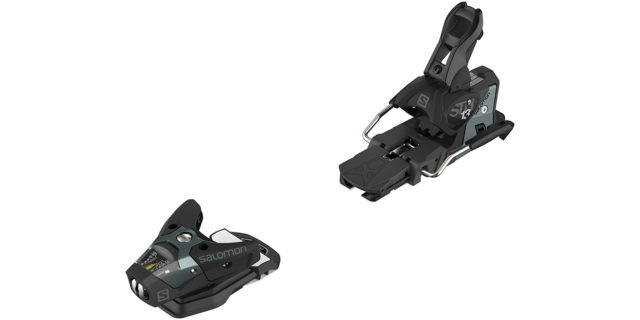 It is worth noting that the Salomon Warden is compatible with nearly the same range of boots as the Attack 14 AT, but is a little less expensive at retail. For skiers looking for a lightweight, simple, and affordable binding in the 13-DIN range, the Tyrolia Attack 13 is hard to beat. It’s only compatible with alpine and Grip Walk soles, but it’s got a very good range of adjustment to fit different boot sole lengths, as well as a low stack height. We’ve also found that the Tyrolia heels are much easier to open and close, especially in soft snow, than any of the Marker Royal Family bindings, and the Tyrolia bindings don’t have the issue we’ve experienced with some Marker bindings where the heel closes part way but does not completely lock. This is especially noteworthy for lighter skiers. The heel engagement of the Attack 13 is very solid and positive, and feels more similar to the Salomon STH2 series than the Marker Royal Family. If you’re looking for a binding with a similar feel and weight but at a higher DIN range, check out the AAAttack2 16 and 18 X. And if you need more boot compatibility options, check out the Attack2 14 AT — it’s a little heavier and more expensive, but it is compatible with ISO Alpine 5355, WTR, Grip Walk, and ISO Alpine Touring 9523 boots. For 18/19 Marker updated their flagship 18-DIN binding with their “Sole ID” tech, which means the Jester 18 Pro ID is now compatible with Alpine, Grip Walk, WTR, and ISO Alpine Touring 9523 soles. While we many Blister reviewers have hundreds of days in the Jester 16, none of us have skied the Jester 18 Pro. We’re hoping to get on the new binding soon, and we’ll update if / when we get time in it. The current iteration of the Jester now has increased ability to adjust the height difference between the AFD and toe piece so that it can now accommodate Alpine, Grip Walk, WTR, and ISO Alpine Touring 9523 boots. Other than that, it remains the same reliable binding that Marker has made for years. Our primary issue with the Jesters has been that they can be a bit difficult to step into, particularly when wearing any boots that have rubber pads on the soles. Getting into them in deep snow requires much more thorough clearance of the toe piece of the binding and the toe of the boot than the other non-Marker bindings we’ve used. This is compounded because the design of the toe piece doesn’t clear out snow as well as some other bindings, so you are essentially kicking your toe into a solid plastic pocket full of snow. In addition, the heelpiece is designed so that it doesn’t snap into place until the boot is relatively deep into the binding, so it takes a bit more force before actuating. Larger skiers or those who are most often getting into and out of their skis on firm surfaces are unlikely to have any issues, but lighter skiers and those who are frequently putting skis on and taking them off in deep snow may be happier with other bindings. Once they are on, however, we have for the most part found these bindings to be reliable and confidence inspiring, and many Blister reviewers have skied the Marker Jester and Griffin for years and have hundreds of days in them. While the Marker Griffon doesn’t really stand out in any particular way, it is a fine, affordable binding that we have used quite a bit at Blister, and we have experienced few reliability issues. It does have the same toe and heel issues in deeper snow as the Marker Jester, but this issue is reduced the lower you happen to run your DIN setting (as it makes the heel easier to engage). 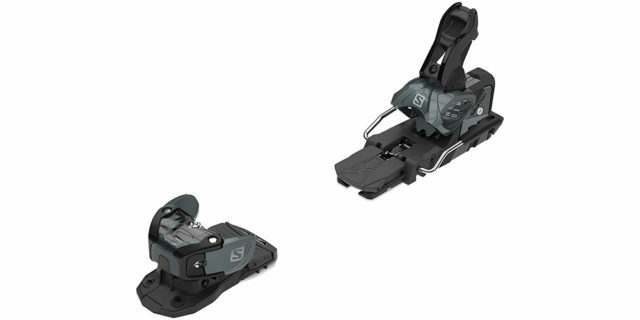 The real selling point of the Griffon 13 ID is that it’s an affordable option for skiers who need one alpine binding that works with their inbounds boots and a wide variety of touring boots. While everyone has their personal preferences and biases with bindings — especially since they’re charged with saving your knees in the event of a crash — there is no single, ideal binding that’s perfect for everyone. So choose a binding based on your personal priorities and the right DIN range. And we’ll continue to add to and update this article as we get time in more bindings. For more on elasticity, travel, DIN, etc. 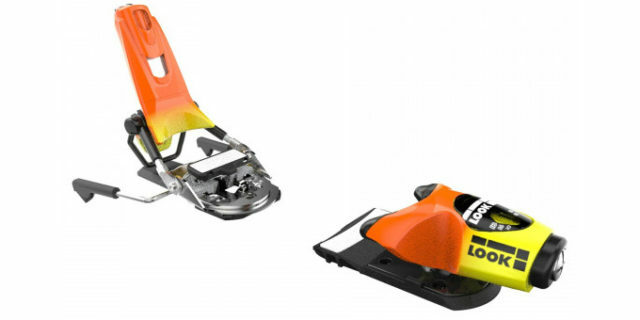 and how they affect on-snow performance, check out our Sk Bindings 201 article on how bindings work. Two different proprietary walk soles, essentially achieving the same idea. Tyrollia have licensed GripWalk hence the bindings are marketed towards GripWalk, but Attack2 works with Alpine, Grip Walk & WTR – you just need to move the AFD up/down via screwdriver. The article above states that Attack2 is not WTR compatible. The Attack2 AT is though. The Attack 14 AT is compatible with WTR. That is the only Attack binding compatible with WTR available for retail. The Attack 13 demo binding also is compatible with WTR. First off, pretty much everything you guys publish is awesome, I bought the Bibby’s/Blister Pro’s and love them (after moving the bindings back 1cm from recommended mount), and the Buyer’s Guide is the best coffee table book ever. As you guys get deeper on this topic, I would love for some more information on differences in binding safety. When I got the Bibby’s and was looking to get bindings for them I tried for way too long to figure out if there were actual differences in safety performance between bindings and found essentially no useful information. I found out a lot about cost, weight, snow clogging issues, etc., but pretty much nothing on safety besides inconsistent commentary from people on pre-release issues (or at least not enough information for me to think I could reliably extrapolate from individual concerns to typical performance) and people thinking that the free heel rotation in the Look Pivot’s helped them release more easily. Eventually I came across the Knee Binding, which near as I could tell was the only binding the market with an actual claim to a difference in safety – it allows for a lateral heel release (which, if my memory’s right, purportedly can help avoid ACL injuries in a specific but common motion where you’re falling backwards and twisting). I ended up getting the Knee Bindings (basically as a “no regrets” decision), but I did so thinking I had no good information to go on. I sort of wished I had 30 pairs of bindings to torque-test under different conditions, but that wasn’t realistic. If anyone could help plug that knowledge gap I assume it would be you guys. Thanks again for all the great stuff you guys produce. What is the heel elasticity of the Salomons? Is the toe height adjustment range of the STH2 different than on the older Driver toes (STH, 91X, 997 etc.)? Or worded differently: are the old Driver toes also “WTR compatible” in the sense that they offer enough height adjustment to accomodate WTR soles? Maybe not the exact right place, but it would be great if you guys would address the effect that heel/toe stack delta has on different aspects of skiing. I personally have nothing but good things to say about the Attacks. So easy to step into, and no pre-release issues for me. I have a local shop that quit carrying any marker bindings due to an over abundance of warranty issues the last couple of seasons. Many things breaking on them. I’ve skied Marker Griffons my entire life and am true expert level skier, I would say I’m more technical finesse than a powerful brute skier but never have had one fail in all my years skiing. My kids had some issues with Marker Squires as they got older in the park and we ended up not using them for park skiing but other than that not one single issue. Local shop thinks I’m crazy to go down the road of buying more Griffon. I LOVE the compact light swing weight, I love the power transmission you get, I like the tiny added binding height for any kind of carving advantage that can offer. My ONLY complaint for me and Marker Griffon is that the toe piece can click. My boot can move up and down in toe piece and causes a clicking sensation. Usually fixed by sliding the AFD one way or the other which probably isn’t the right thing to do as far as releasing but it’s better than the annoying click. Any thoughts or experiences with massive Marker warranty issues. I don’t mind the new Look SPX 12 but not a fan of the BIG new WTR toe peice. Added bulk and weight to a great older toe piece. 60% of the skiers don’t want or need WTR setup. Is running a Pivot 18 on a DIN 8 a bad idea? If you follow this article http://blistergearreview.com/at-binding-reviews/bindings-201 it should actually be a pretty good idea performance wise. However If you are on the very edge of the range you have no option to adjust for tolerances in binding strength, i.e. if your binding springs are a bit stronger than they should be, which as I understand is not that uncommon, you may have no choice but to run it at 9 for example. So I personally would only think about a pivot 18 if I was running a release value of 9 upwards. I see a lot of shops / review sites as describing the Attack 13 GW binding as great for park/pipe riding, I guess because of the low toe and heel height? Is the idea that when you’re landing, you want to be as close to the snow as possible? If so, what are the implications of the low height of the Attacks for ordinary resort skiing? Troy’s comment above suggests a higher height makes for easier carving, which of course makes intuitive sense, but I wonder how much difference it makes in practice. I just got some new Enforcer 93s, and since they’re a heavier ski, I’ve been looking for some lighter bindings, and thus drawn to the Attacks. (I see too many red flags about the Griffons floating around on boards, including this one). But maybe none of this makes a functional difference at all for an advanced-but-not-expert skier like myself. Can you confirm the 20mm of BSL Adjustment for the Pivot’s? I was under the impression that it was <10mm, unless they have updated them recently. I second this request. I’ve heard the adjustment range was around 7mm total, so +/- 3.5mm. It’s all conjecture on the 7mm of adjustment as far as I’m concerned. I’ve run them for years and fully believe adjustment range is ~20mm…it’s at least 15mm because I have been able to span that amount in various BSL’s I’ve had on one pair of older skis mounted with them. I will say when going longer (say you’ve mounted for 310 middle of range but now need to fit a 320) it can get a bit finicky for step in and boot heels barely fit between the struts. If the binding (Rossi jr. binding) has an indicator window for forward pressure on the side of the housing of the heel piece, is FP acceptably set as long as the notch is visible within the yellow window (range) or does the notch have to position exactly in the middle of the window? The indicator notch on mine is a bit forward of the center but well within the window. I have already moved the heel piece back into the last position available on the track for this boot length (otherwise need to remount to move the heel piece back). Blister staff, do you folks have an opinion on whether the Look Pivot’s multi-directional/”upward” toe release is a legit safety improvement, or more a gimmick? I don’t have experience with different bindings as all of my skis have Pivots. But, it seems to me that the differences in ramp angle are significant and can affect balance/stance and optimal binding mount location. Any thoughts on that? I saw recently on PugSki.com that Atomic / Salomon has certified their STH2 WTR 13 & 16 for use with GripWalk soled boots. This should be retroactive since they have not made changes to the STH2 toe-piece for this season. 1. Toe wing adjustment to grip front of the ski boot – at what point is it set correctly? 2. Toe piece height for boot sole thickness (also modifiable for WTR / Alpine din sole), i read it would be set write if i can just move a standard business card in and out with it being freely moveable, and not shreading it as i move it in or out – would this be correct? I would normally expect there to be little to no vertical play in the toe or heal so as to maintain contact with the contact points under the ski boot?? 3. Forward pressure from heal piece (if applicable to the binding) – i know there is a screw adjustment, should it be flush with the housing of the binding heal when the boot is in place and locked in, or is there a tell tail that i should be able to see once the boot is locked in like a hashed marking on the screw neck etc as on previous/other bindings? The shop have already supplied me with limited info, i.e. where i find the screws to perform the tasks (which i didn’t need them to point out….) and they gave a link to the previous generation of STH binding heal pieces for the forward pressure setup, which is now different on the STH2 model i think as it is a guardian style heal now with a different track adjustment setup than before as well. Any help you guys can give will be appreciated.